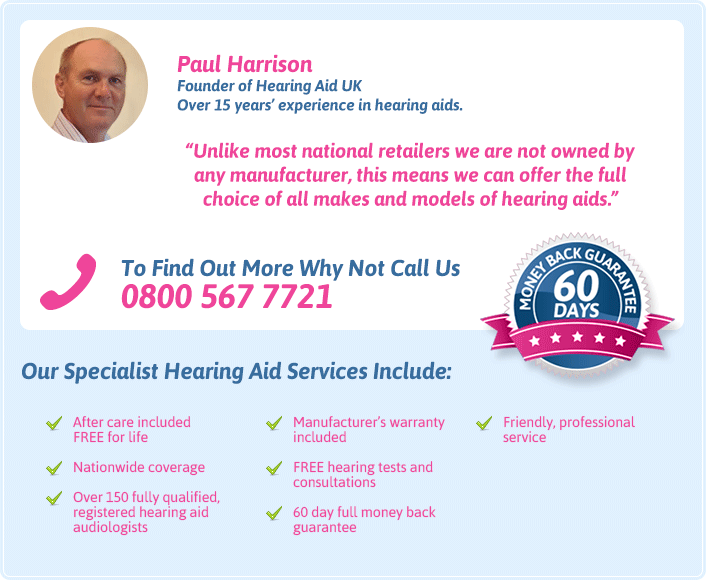 There are plenty of websites offering free hearing aids, or hearing aids at a vast discount to other suppliers. It’s very tempting, especially when the cost of hearing aids seems so high. So what do you really get and are they worth it? When you apply for a free or discounted hearing aid the process is very simple. Just fill in your details on a website with your address and your hearing aids will be posted to you. Some simply ask if your hearing loss is mild, moderate or severe, others will have an online hearing test where you listen to words or numbers to see how many you can accurately recognise. Then you choose from a small range of hearing aids and they will be posted to you. So you can get a cheap or free hearing aid without having to leave the house. You’d be forgiven for wondering what you are really paying for when you go to an audiologist for hearing aids. Lets start with the hearing test. The audiologist will test every hearing frequency to find out which ones you have trouble hearing. This varies from person to person, for example, those with age related hearing loss usually have loss in the higher frequencies whilst their hearing is clearer in the lower ranges. Their tests will look for the underlying cause of your hearing loss to rule out damage to the structure of your ear causing a blockage or an illness needing treatment. This is not possible during an online test. An audiologist will have their test equipment calibrated regularly to ensure accuracy. When you take an online test you are relying on the quality of your PC speakers to deliver an accurate sound. You may feel that a simple hearing amplifier is all you need. Some have a dial on them so you can turn the volume up when hearing is difficult. How’s this different to a more expensive hearing aid? A hearing amplifier will increase the all the sounds around you. This won’t be much help if you are trying to hear conversation where there is background noise. It may make some sounds uncomfortably loud. One risk is that they may increase sound too much, causing further hearing damage. A hearing aid tuned by a professional audiologist will only increase the frequencies you can’t hear well. Other frequencies will be left alone, ensuring the sound doesn’t get uncomfortable. They will also ask you questions about your lifestyle and where you have the most trouble with your hearing. They are an expert on the different kinds of hearing aid programs available and will be able to recommend one that’s best suited to your needs. When you buy discounted or free hearing aids online, there are no follow up appointments. You may be able to send them back if you aren’t happy with them, but that won’t help your hearing. If you want your hearing aids adjusted because they are uncomfortable or you want the sound changed, you will have to pay to see a local audiologist. Because many of these cheap aids and amplifiers are made overseas, adjustments can be difficult and repairs expensive. So whilst the price may seem appealing, they may cost you extra in the long run. When you buy hearing aids directly from an audiologist, follow up appointments for adjustments are included in the price. As you get used to wearing your hearing aids in different situations it’s expected that you might want changes made, especially if you have had untreated hearing loss for a while. If you don’t mind not having a choice over the style of hearing aid you have, the NHS supply basic BTE hearing aids free of charge. This includes a hearing test, health check, hearing aid maintenance and batteries. Hearing aid services with the NHS are low on funding and under threat from government cuts. Because services are so overloaded, you may wait several months before getting your hearing aid. Free online hearing aids with quick delivery may seem the best option. However everyone’s hearing needs are different, and this can’t be catered for with something off the shelf. It may seem like a cheap fix, but you won’t get a personal service, great advice or a hearing aid tailored to suit your needs.